Following TV Series is definitely one of the guilty pleasures in life but not all of us can be absolutely current with the latest episode because of time difference and the distinct lack of time to just sit down and watch. If you’re like me and save your TV shows for a dedicated day to just marathon the crap out of it, then spoilers are a very real threat. With social media, it’s very easy to get the latest episode of Game Of Thrones spoiled by an errant tweet. 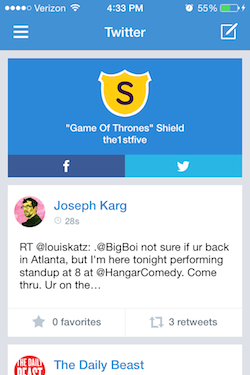 Enter Spoiler Shield, a free iOS app that scans your twitter feed for tweets related to a specific “shield” you set and masks it gloriously for you to scroll by safely. If you’re masochistic, you can click on it to reveal but then what’s the point right? 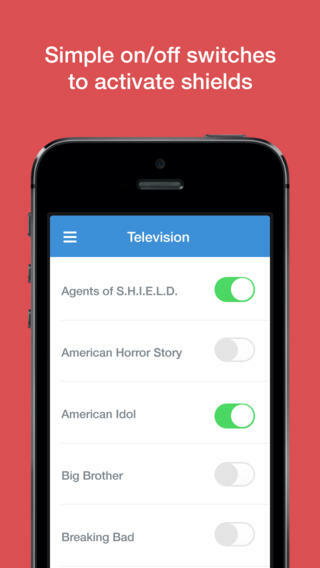 This doesn’t just limit you to TV shows, it also has sports teams and things like the academy awards on there too. While largely US-centric, it’s still a very novel idea and an incredible tool to have. 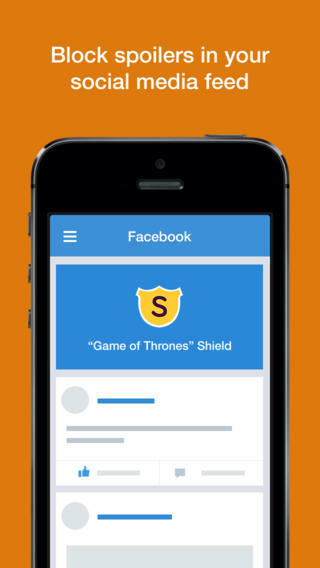 Now if only they had one for Facebook… Get Spoiler Shield Here!